One World 365 uses imagery to provide great insights about the benefits of travel through working, volunteering, and vacationing abroad. I created a collage of some of my favorite thoughts and images about travel from One World 365. 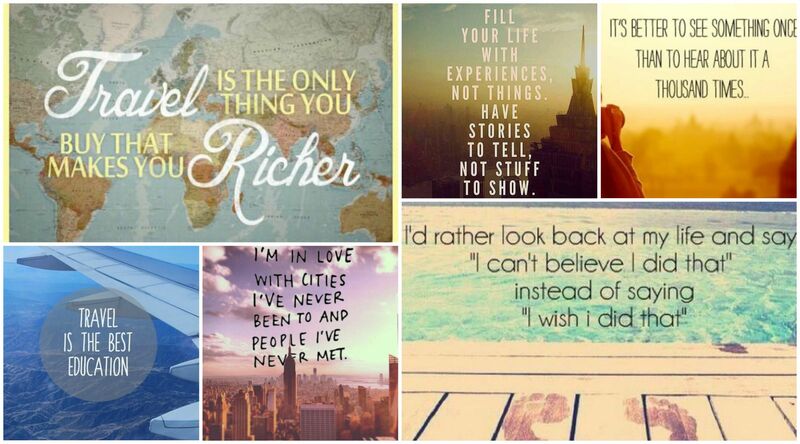 I don’t know about you, but each of these quotes makes the wanderlust in me grow stronger. Don’t hold back- go on another adventure and be inspirNational!